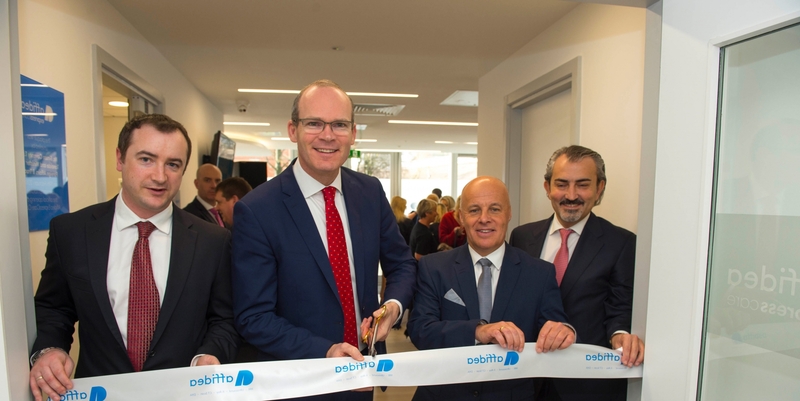 As part of its continued growth in Ireland through patient-centred diagnostic and imaging clinics, Affidea has opened ExpressCare facilities at the Elysian Building in Cork. Affidea ExpressCare provides an alternative service to conventional hospital Emergency Departments for patients with a range of minor injuries and minor illnesses. Affidea ExpressCare is part of the company's outpatient strategy - to provide outstanding patient alternatives for minor injuries and minor illnesses, which should not need to take place in a traditional, highly pressurised hospital setting. Patients are often referred to hospitals only because of difficulty in accessing diagnostic services. Affidea's new service will provide patients with an alternative to busy Emergency Departments, combined with the added benefit of the suite of Affidea medical imaging, all within the same clinic. This will significantly benefit the health system in Cork, freeing up capacity for those most in need of care. Affidea ExpressCare will be a Consultant-led service providing access to healthcare for patients with minor injuries and minor illnesses, who will also be provided with access to Affidea diagnostic services. The new service has been designed to deliver the optimum patient experience in state-of-the-art centres within, or adjacent to, existing Affidea Diagnostic Clinics. Patients will benefit from access to outstanding healthcare, without an appointment, from 10am to 10pm, 365 days per year. Affidea is committed to providing an efficient and effective service, including treating patients within a one-hour turnaround time. Affidea ExpressCare will also treat children over 1 years old. Affidea ExpressCare, as is the case with Affidea Diagnostics, will operate independently; providing services to all patients who attend on a fee-for-service basis, irrespective of private health insurance status. Health insurance providers LAYA and Irish Life Health have also confirmed that Affidea ExpressCare is a covered benefit.